€80 million will be made available in this call for the co-funding of significant building projects which deliver on key strategic objectives for the sector. The call has been issued by the Higher Education Authority (HEA). Support new methods of teaching and learning in both on-campus and online environments. The fund aims to leverage significant non-Exchequer sources of funding for investment in higher education, with the aim of achieving at least 50% match funding across the programme as a whole. The fund complements other significant efforts which are underway to enhance and expand higher education infrastructure, including the Higher Education PPP Programme, which is focused on institutes of technology and future technological universities; major investment in the new TU Dublin campus at Grangegorman; and an upgrade programme to enhance existing infrastructure across the sector. 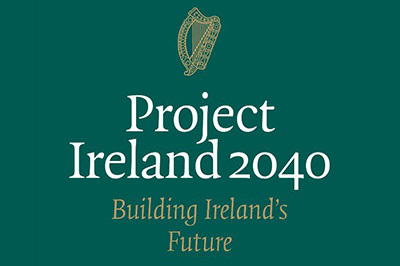 “Project Ireland 2040 recognises the critical role played by higher education institutions in driving economic and social development across Ireland’s regions. This is why capital investment in higher education is a key focus of the National Development Plan. “Projects supported under the Higher Education Strategic Infrastructure Fund will significantly advance the ambitions of Ireland’s higher education sector. Non-Exchequer investment has played, and will continue to play, an important role in the development of our campuses. We want to use the opportunity of this fund to encourage strategic investment from a range of sources, including philanthropy. Expressions of interest must be registered with the HEA by 17th January 2019. The deadline for receipt of applications from higher education institutions is 21 March 2019.